JustFab, a leading subscription ecommerce site and lifestyle fashion brand, offers an engagingly personalised shopping experience. Each month, members can shop a customised selection of shoes, apparel, handbags and jewellery in their personalised online boutique. While acquiring new VIP members is a constant goal, JustFab had not used direct mail to prospect until reaching out to Epsilon to help them test the channel’s potential for the brand. 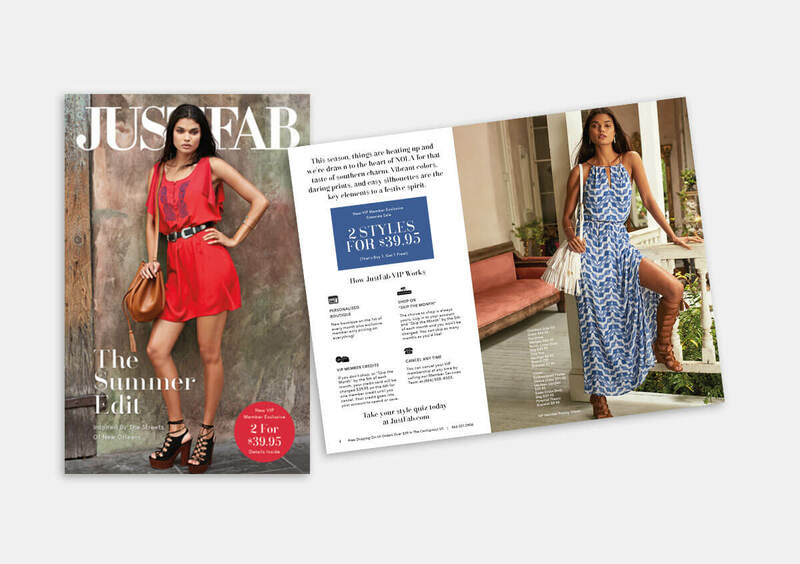 Equipped with a universe of highly qualified prospects identified through Abacus, JustFab used direct mail to grow its customer base and achieve maximum returns on its marketing spend. For both their Autumn and Spring catalogues, JustFab found that VIP members activated via Abacus had a higher lifetime value (LTV) than those activated through other sources during the 8-week period: 108% higher LTV for Autumn and 163% higher LTV for Spring. In addition, Abacus shortens fulfillment times, making it possible for JustFab to put personalised offers in the hands of customers more quickly.